In the hospital environment, microorganisms such as Clostridium difficile (C.diff), Methicillin-resistant Staphylococcus aureus (MRSA) and carbapenem-resistant Enterobacteriaceae (CRE) are responsible for the infections that kill nearly 300 people in the US every day. 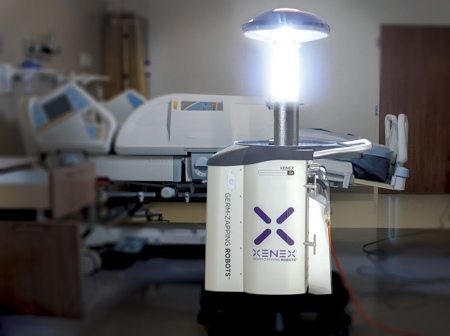 Xenex Disinfection Services’ LightStrike Robot with pulsed xenon ultraviolet-C (UV-C) light technology is a proven solution that quickly destroys deadly viruses, bacteria and spores before they pose a threat to patients and healthcare workers. 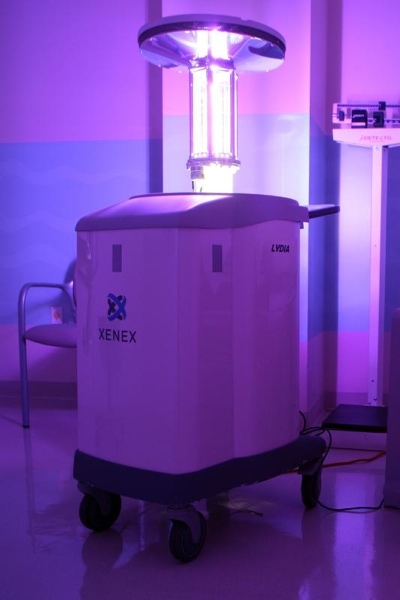 Xenex robots use pulsed xenon, a noble gas, to create Full Spectrum, high intensity UV light that quickly destroys infectious germs in less than five minutes. 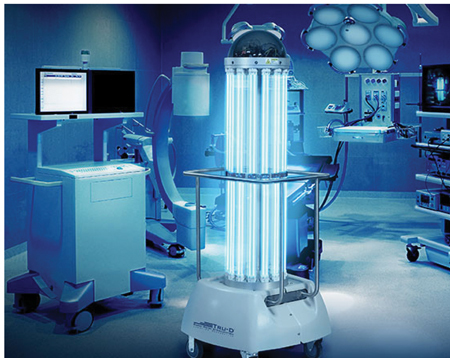 Now, for the first time, hospitals can utilise the power of LightStrike Germ-Zapping Robots to quickly disinfect mobile equipment just as effectively as they disinfect rooms within their facility. Pathogens such as C.diff, Acinetobacter baumannii, MRSA and Vancomycin-Resistant Enterococci (VRE) can travel throughout a healthcare facility on mobile equipment. To address this gap in the infection control process, Xenex recently partnered with an industry leader in containment units, Mintie Technologies, to create the LightStrike Disinfection Pod. 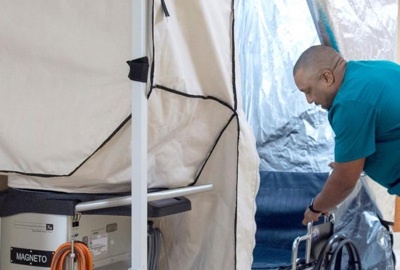 Designed to quickly disinfect reusable mobile equipment such as isolettes, ventilators, pressure monitors, wheelchairs and workstations, the LightStrike Disinfection Pod enables the power of the LightStrike Robot’s intense, germicidal light to be used anywhere in a facility. The Pod is collapsible, mobile and can be positioned in a hospital hallway or other areas without disrupting or impeding daily workflow. Its proprietary design integrates reflective interior fabric ensuring 360 degrees of UV light coverage over difficult-to-clean equipment including anesthesia carts, ventilators and mobile imaging machines. “Epidemiologically speaking, mobile equipment may play a significant role in room-to-room transmission of HAIs. Studies have found alarming levels of bacteria on mobile equipment like workstations, IV pumps, pulse oximeters, isolettes and even patient charts. We want to help hospitals ensure that their mobile equipment is not carrying dangerous pathogens from room to room and that’s what the LightStrike Disinfection Pod can accomplish. 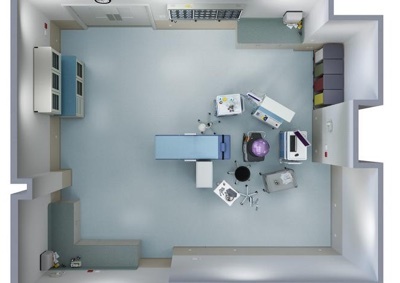 We believe this is a major step forward for room disinfection and patient safety,” said Dr. Mark Stibich, co-founder and Chief Scientific Officer of Xenex. Xenex, which is based in Austin, Texas USA, demonstrated its LightStrike Disinfection Pod on June 14-16, 2017 at the 44th Annual Conference of the Association for Professionals in Infection Control and Epidemiology (APIC) products.